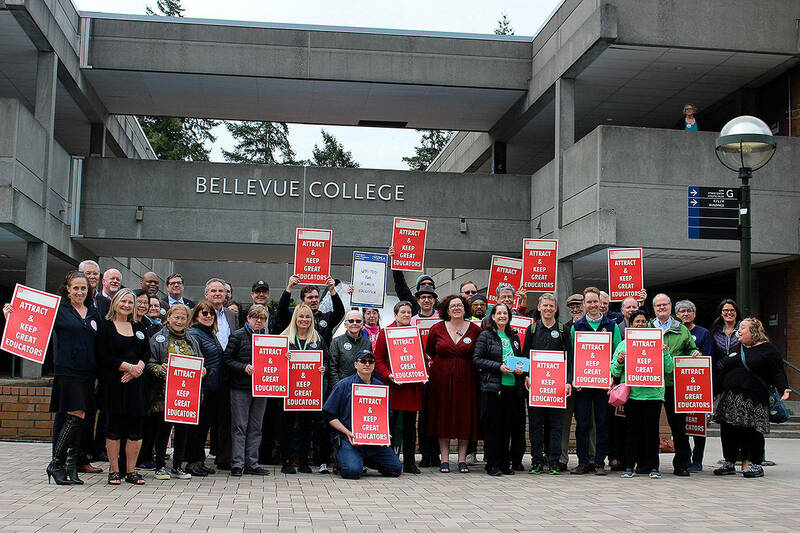 A bargaining agreement between more than 24 unions and King County was approved at Monday’s county council meeting, ensuring much of county’s workforce is operating under current terms through 2020. The agreement was negotiated between representatives of the King County Executive’s office and the King County Coalition of Unions, which represents employees working in detention, law enforcement, public defense, the prosecutor’s office, public health, Metro, IT and parks, among others. In total, 61 collective bargaining agreements covering more than 5,500 employees across 17 agencies were approved. As part of the agreement, all employees represented by the agreement will receive a general wage increase of 4 percent, which took effect at the beginning of 2019, and another 3 percent raise next year. Corrections supervisors with a bachelor’s degree will additionally receive a 2 percent salary increase, and those with a master’s degree will receive a 3 percent increase. Wages for county employees are supposed to be tied to wages in the private sector, and the county conducts studies every two years to ensure they are, Lambert said. County executive Dow Constantine’s office issued a statement to the Reporter saying the agreement built on foundations established in the 2015-2016 total compensation agreement and the wage increases are consistent with cost of living projections in Puget Sound.